Imagine you pull in the driveway from work and it’s dark, as is the house. All of a sudden the sensor in your car alerts your smart home that you are home and it turns on certain lights throughout your home, turns off your alarm system and changes the temperature in your house for you being home. And when it’s time to go to sleep, you reach over to a button at the side of your bed that’s marked “bed time.” Immediately your front door locks, your alarm arms and all the lights in the house turn off except for the flood lights that you like to keep on at night. Or maybe you are into design and you want flush mount lighting so all you see is the light, not the casing. 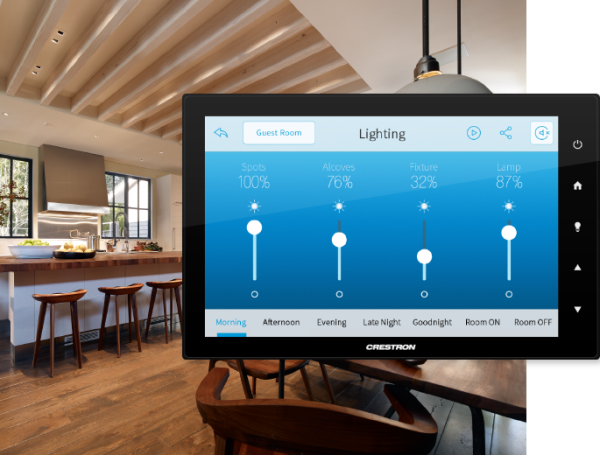 From state-of-the-art lighting design, to developing a plan to save you 20% on your electric bill, we are here to help you with automated lighting.